Believe it or not, but this is actually quick to make. Once you’ve done the preparation that is! 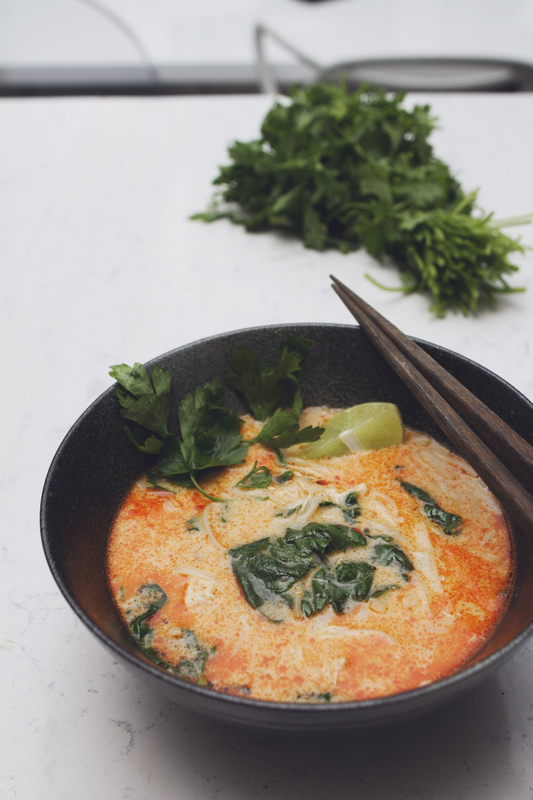 This thai curry noodle soup doesn’t need a lot of ingredients and you can customize it and add chicken and veggies as you like. I added a bit of spinach for example. This page has a really easy step-by-step recipe with stunningly beautiful images. Extra bonus: this recipe has a lot of ginger, which I love and which has a lot of health benefits like helping with digestions and inflammation. The thing that took a bit of prep work is the home-made chicken stock. You can find a good recipe for chicken stock here, but basically you just get a whole chicken and put it in a large pot with onion, celery and carrot. Cook it for 2-3 hours and you have chicken stock for the whole winter! I made this the night prior and kept it in the fridge (I’ll also add here that our little pup named Macchiato was going nuts the prior evening as the smell of chicken was in the air). 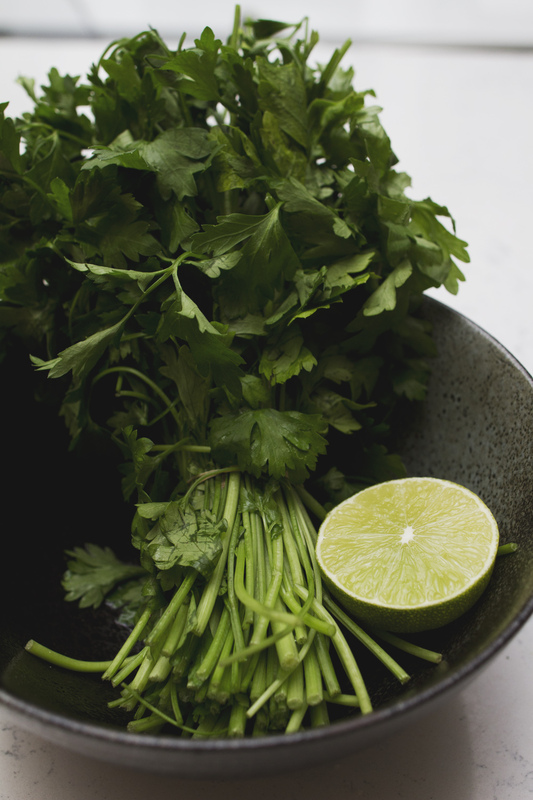 Posted in AsianTagged asian curry recipe, asian food, asian food recipe, chicken stock, curry recipe, thai curry, thai curry recipe, thai food, thai food recipeBookmark the permalink.